Snow covers the Stonewall Jackson Hotel and downtown Staunton on Monday, March 17, 2014, in Staunton. Boy, it has been a lot time since I've updated the blog. Lots of things are changing in my life currently, and I have a lot exciting adventures coming up very soon — and some that could come sooner! But all that is for another time. In the meantime, I figured I'd catch up on recent dead tree work. Thanks for looking. Children burn palm leaves at the end of a Mardi Gras celebration at St. John the Evangelist Catholic Church on Tuesday, March 4, 2014, in Waynesboro. Mardi Gras, or "Fat Tuesday," is a feasting day before Ash Wednesday, which is a 40-day period of fasting and reflection before Easter. The palm leaves are from last year's Palm Sunday and once they are cooled, will be placed on people's foreheads for Ash Wednesday. Pastor D.F. Barnwell leads the closing hymn during a service for the Lenten Luncheon series on Wednesday, March 19, 2014, at Cherryvale United Methodist Church in Staunton. Multiple area churches gather for the Lent services and raise money for SACRA, a local organization that provides economic assistance. Snow covers downtown Staunton on Monday, March 17, 2014, in Staunton. Students eat lunch at Verona Elementary School on Monday, April 14, 2014, in Verona. Schools in Augusta County had their spring break cut short due to snow days, and some are curious about how school attendance will be this week with the change in the school calendar. Frank Mundy, a retired Department of Game and Inland Fisheries game warden, teaches Peyton Shaeffer, 10, of Waynsboro how to trap shoot during a JAKES youth gun event on Saturday, March 22, 2014, at the Shenandale Gun Club in Swoope. The Augusta County Chapter of the National Wild Turkey Federation partnered with other organizations to put on the event, which taught kids how to shoot with air guns, bows and arrows, shotguns, how to trap shoot and the ins and outs of trapping. Stuarts Draft's C. Fitzgerald slides into third while watching the ball during a softball game against Wilson Memorial on Friday, April 11, 2014, in Stuarts Draft. Olivia Delamarter, 7, and Mackenzie Roller, 6, run through the woods to find eggs during the 6 and 7-year old division during the Eggstavaganza Egg Hunt on Saturday, April 19, 2014, at Montgomery Hall Park in Staunton. Congregants from the New Providence Presbyterian Church listen to Rev. 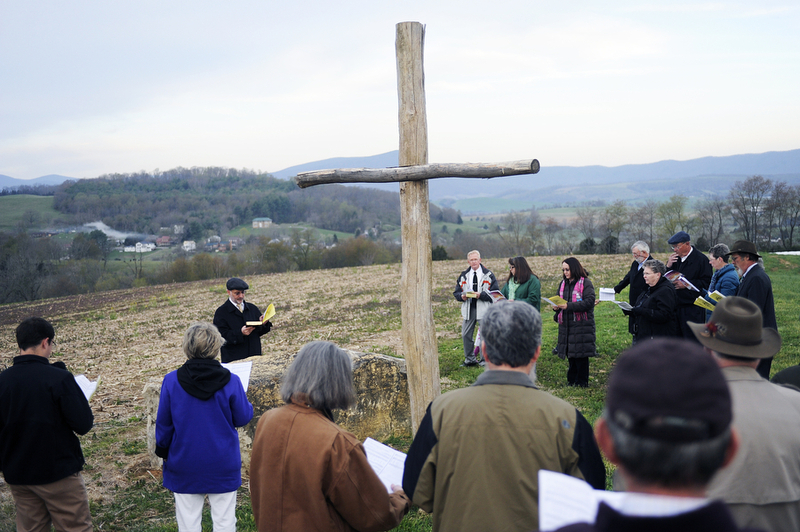 Keith Cornfield speak as they gather on a hilltop for a sunrise Easter service on Sunday, April 20, 2014, in Brownsburg.